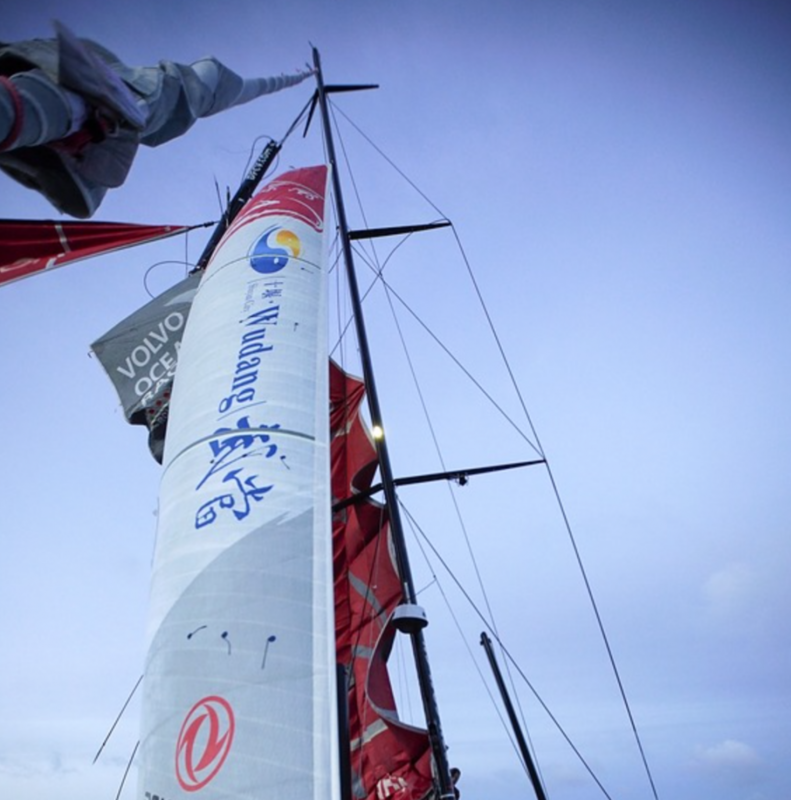 We may have just learned why Dongfeng Race Team has been so fast downwind…the triple-rigged headsail! 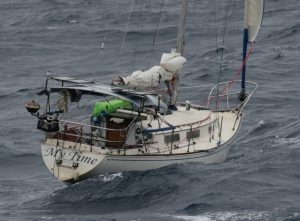 Seriously, take a look at the masthead breakage DFRT suffered last night (they’re heading to Ushuaia for a repair/replace) and tell us what you see! We see a mainsail, a solent and a Fr0 below the break and a big downwind sail (red) above the break. We’re not sure that’s what they were running at the time of the breakage but it would sure explain a lot! Big props to the VOR folks for giving the fans what they want – live coverage of Alvimedica rounding the horn in first, and congrats to Charlie and the team. Also a big congrats to Abu Dhabi Ocean Racing for finally showing that a crewed VO65 is quicker than a solo Open 60…Ian clocked 551 NM over the past 24 hours under main and Fr0, 7 more than Macif did in the 2012 Vendee.